KARACHI: Former federal minister and senior leader of the Pakistan People’s Party (PPP) Dr Asim Hussain returned to Karachi from London on Friday, where he had gone for medical treatment last month. “Nawaz Sharif! 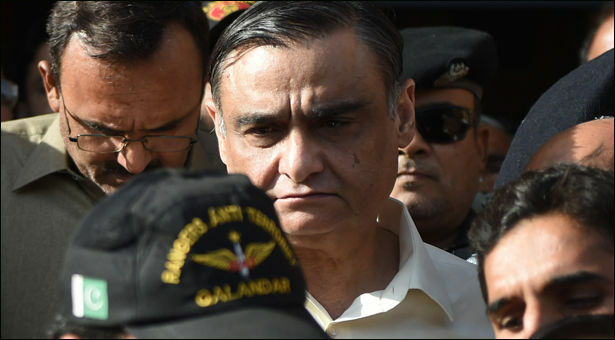 The war that you are raging with our military leadership is not good for Pakistan,” Dr Asim, who was released in May after being held in the custody of Sindh Rangers and law enforcement agencies for 19 months, warned the ousted prime minister and president of the ruling Pakistan Muslim League-Nawaz (PML-N). “The military leadership belongs to Pakistan. It belongs to the nation and is from among the people. We are standing with the military leadership. We will protect every inch [of the country]. Move away from this war, otherwise the nation and the PPP will make an example out of you,” he said. The former minister also accused Sharif of “breaking” Pakistan and attempting to carve out “Greater Punjab”, so that he could “own” it. “Our co-chairman has also mentioned this and we are sure that he [Sharif] wants to do this,” he said, answering a question on whether he thought Sharif actually wanted to create a ‘Greater Punjab’.